Our lovely girl Shin Hye is making a comeback to the silver screen! Shin Hye’s new drama – SBS ‘Doctors’ – will begin its broadcast run on SBS starting June 20, 2015. 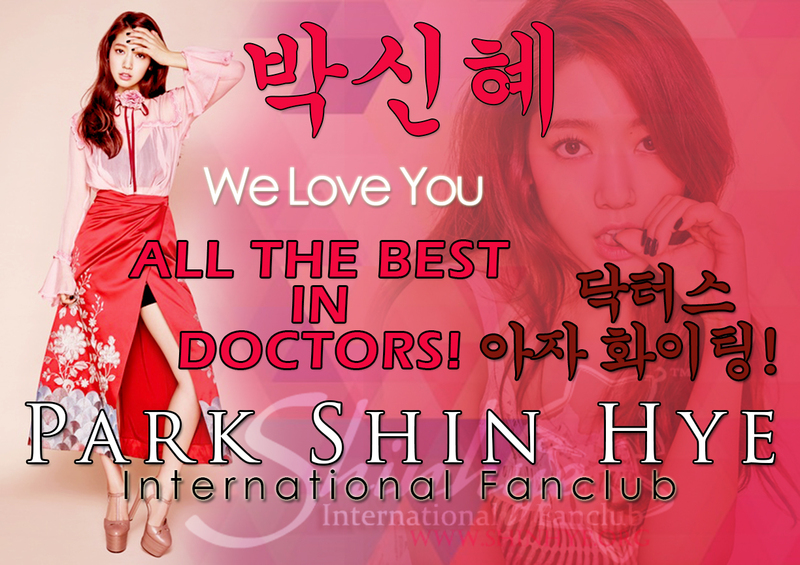 (Read more about Shin Hye talking about her drama at her fanmeeting Q&A session: http://www.shinhye.org/2016/05/fan-account-160514-park-shin-hye-sports.html). What is a Rice Wreath? 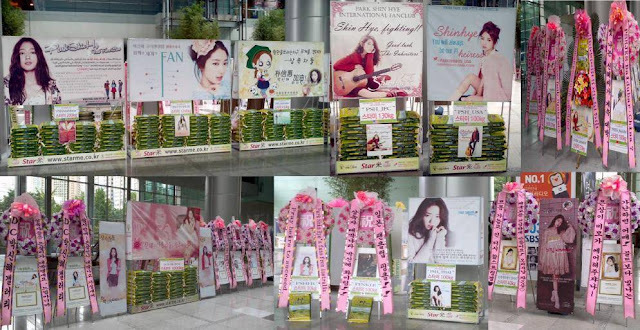 A rice wreath consists of a big banner display and standee with bags of rice (1 bag = 1kg of rice) stacked in front of the wreath. Rice wreaths representing fanclubs are displayed at Korean dramas/movies premiere press conference venues to show fans’ support for the cast. The bags of rice are donated to charity for people in need. How much is a bag of rice? 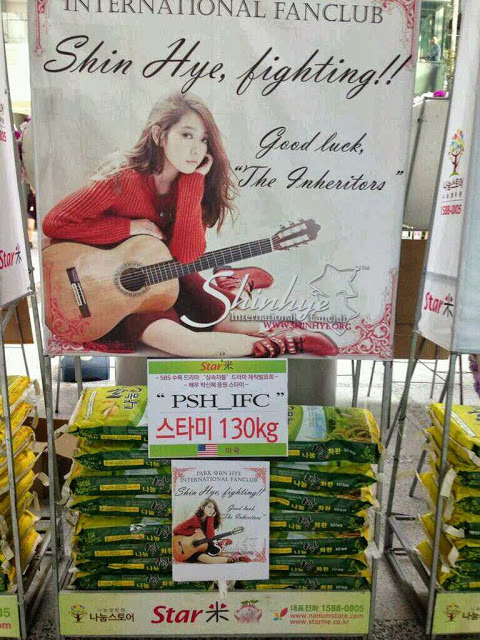 Each bag of rice (10kg each) costs 40,000 Korean won (= 34 USD). Our target is to raise money for 30 bags of rice. We sincerely ask for Starlight Angels’ financial support for this meaningful rice wreath project and thank everyone for your continual support and love of our lovely Angel. You can donate via PayPal by clicking on the Paypal button above. If you wish to donate via other methods, please email us at shinhyeorg@gmail.com. We have admins in the US, Hong Kong, Philippines, and Malaysia that can assist you.